Photomanipulation painting : Using oil paint and loaded palette knife. Creating an impressionism type painting with loose strokes. Awesome painting, intense and emotional. 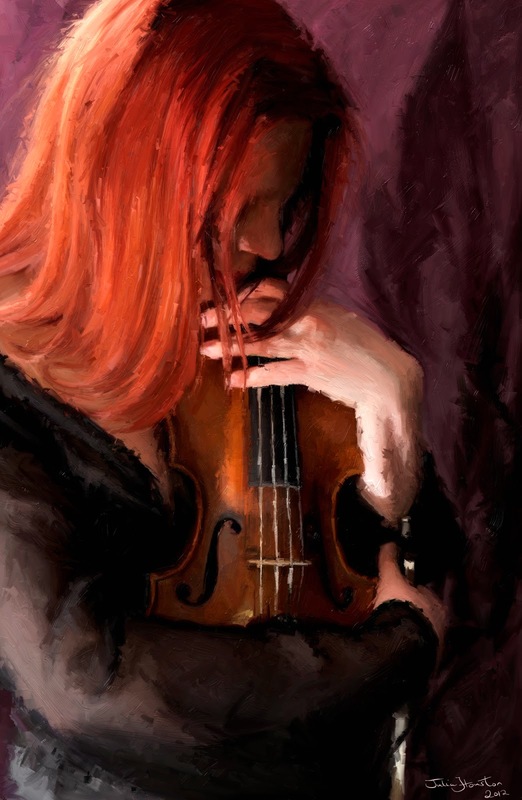 Her haircolour is awesome... the Violin a beauty...the skin-colour excellent....the whole expression is amazing... - and i hope she is on her way to play some J.S. Bach solo-violin. Ooooooooooo. . . NICE! Great story in the body language. Fantastic color, which makes me hear the style of playing. Brava! In form and beauty so well done!